Ground-based long-range VHF surveillance radar P-18ML is offered as the modernized follow-on to its prototype, the analogue P-18. engineered for minimum cost of ownership. As a result of modernization the radar’s detection performance is efficiently improved. 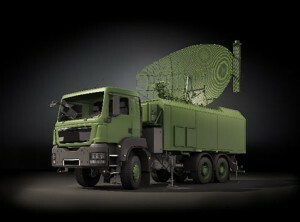 Modernized radar features automatic tracking capability as well as data receiving from other radar sensors. Data can be exchanged over a variety of communication channels in approved format. Antenna-mast assembly is equipped with a new asynchronous motor drive assembly controlled by frequency inverter. equipment cabin in standard configuration. As an option, ground interrogator can be controlled in auto- and semiautomatic modes with assigning aircraft state identification status. All air situations is automatically recorded with playback capability in passive and interactive modes. P-18ML radar features efficient protection against pulse interference and active jamming. Level of interference is continuously monitored and graphically represented to the operator. Jamming protection is achieved through expansion of the dynamic range of the signal processor and capability of electronic frequency agility. Passive interference is rejected through digital adaptive MTI and generation of clutter map. The number of vehicles in standard configuration is decreased from 4 to 2. Two power generators are accommodated in an individual compartment of the antenna-mast assembly vehicle. Other design options are possible: radar equipment can be placed on a single semitrailer or on trailers without vehicle chassis. Power generators can be placed on separate vehicles. 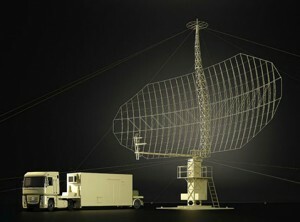 Ground-based mobile UHF low, medium and high altitude surveillance radar P-19ML is offered as the modernized follow-on to its prototype, the analogue P-19. The radar’s equipment cabin is fully modernized. Frequency range is preserved at 825-890 MHz, however the number of working frequencies is increased from 3 to 160, the capability of instantaneous electronic frequency agility is added. Radar transmitter and receiver feature solid-state components only. The transmitter has a modular design and provides ‘soft-failure’ redundancy: failure of individual module leads to partial performance degradation. Antenna system features new “upper beam – lower beam” fast electronic switch that replaced slow mechanical unit. Such upgrade allows for new modes of operation – for instance, transperiod beam switching provides full scanning of airspace in one rotation of the antenna. Also, new asynchronous motor drive assembly is installed controlled by frequency inverter. Power supply system is transferred from 400 Hz frequency to industrial 50 Hz. 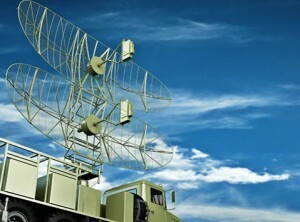 P-19ML radar features efficient protection against pulse interference and active jamming. Level of interference is continuously monitored and graphically represented to the operator. Jamming protection is achieved through expansion of the dynamic range of the signal processor and capability of electronic frequency agility. Passive interference is rejected through digital adaptive MTI and generation of clutter map. 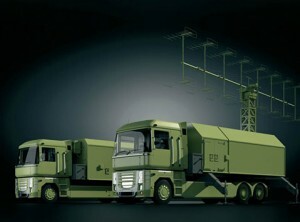 P-19ML radar is positioned on two vehicles. Power generators are accommodated in the antenna-mast assembly vehicle. efficiency/cost ratio) alternative to restoration or repair of legacy prototypes. The specific rotation motors in the antenna rotation system are replaced by asynchronous motors of the industrial design, which are controlled by frequency converters. Antenna-feeder circuit is a subject to thorough modernization: irradiator and high current collector are replaced, 50 Ohm coaxial high frequency cable is used. 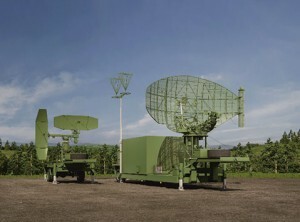 P-14ML/5N84AML radar remains a two-dimensional system and is used to find azimuth and range. Altitude can be obtained by interfacing modernized height-finding radars. Operator workstation provides control of radar modes and displays diagnostic information about the operation of the main systems, secondary processing and tracking are performed at the remote workstation. Both workstations are installed in the equipment cabin in standard configuration. As an option, ground interrogator can be controlled in auto- and semiautomatic modes with assigning aircraft state identification status. All air situation is automatically recorded with playback capability in passive and interactive modes. P-14ML/5N84AML radar features efficient protection against pulse interference and active jamming. Level of interference is continuously monitored and graphically represented to the operator. Jamming protection is achieved through expansion of the dynamic range of the signal processor and capability of electronic frequency agility. Passive interference is rejected through digital adaptive MTI and generation of clutter map. Equipment of P-14ML/5N84AML can be installed on a semitrailer or in two standard sea containers mounted stationary or on a vehicle. Upgraded Ground-Controlled Approach (GCA) system RSP-10ML is intended to ensure fight safety of aircraft and helicopters within terminal airspace, obtain positional information and guide aircraft to a safe landing in normal and adverse weather conditions. RSP-10ML combines primary and secondary radars, and Precision Approach Radar (PAR). Primary channel of RSP-10ML operates in L-band (ICAO), secondary channel uses standard frequencies for RBS (interrogation – 1030 MHz, response – 1090 MHz) and Eastern UVD (interrogation – 1030 MHz, response – 740 MHz). Primary and secondary channels work on a common antenna. Precision Approach Radar performs vertical and glide path guidance and operates in X-band. 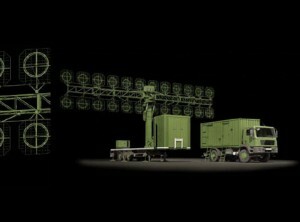 As a result of modernization the radar’s detection performance is efficiently improved. Upgraded radar features automatic tracking capability as well as data receiving from other radar sensors. Data can be exchanged over a variety of communication channels in approved format. Transmitter and receiver of PSR/SSR feature solid-state components only. Transmitters have modular design and provide ‘soft-failure’ redundancy: failure of individual module leads to partial performance degradation. Antenna system of PSR/SSR is equipped with a new asynchronous motor drive assembly controlled by frequency inverter. Radar includes PSR/SSR operator workstation and PAR operator workstation equipped with air situation displays and radio control panels. RSP-10ML is powered from two independent power supplies: from three-phase industrial mains (380V, 50 Hz) and from diesel power generators. RSP-10ML features efficient protection against pulse interference and active jamming. Level of interference is continuously monitored and graphically represented to the operator. Jamming protection is achieved through expansion of the dynamic range of the signal processor and capability of electronic frequency agility. Passive interference is rejected through digital adaptive MTI and generation of clutter map. 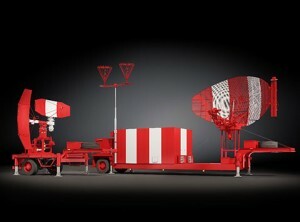 Aerodrome surveillance radar ASR-22ML is intended for surveillance and air trafc control within terminal airspace. ASR-22ML combines primary and secondary channels working on the same antenna as well as sidelobe suppression channel for improvement of detection capability. Primary channel of ASR-22ML operates in L-band (ICAO), secondary channel uses standard frequencies for RBS (interrogation – 1030 MHz, response – 1090 MHz) and Eastern UVD (interrogation – 1030 MHz, response – 740 MHz). ASR-22ML is structurally divided into two parts and consists of equipment shelter and antenna-feed system with rotary support connected by set of cables. 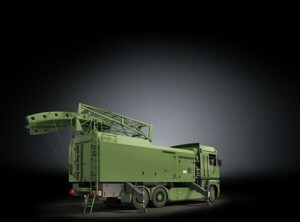 Radar features automatic tracking capability as well as data receiving from other radar sensors. Data can be exchanged over a variety of communication channels in approved format. Radar transmitter and receiver feature solid-state components only. The transmitter has a modular design and provides ‘softfailure’ redundancy: failure of individual module leads to partial performance degradation. Parameters of transmitted signal as well as parameters of signal processing after reception can be set at the operator workstation, secondary processing and tracking are performed at the remote workstation. Remote workstation can be positioned in a Control Tower. ASR-22ML can be remotely controlled from Tower. ASR-22ML is intended for 24/7/365 operation and is equipped with UPS guaranteeing 10 minutes of operational time in case of mains failure. ASR-22ML features efficient protection against pulse interference and active jamming. Level of interference is continuously monitored and graphically represented to the operator. Jamming protection is achieved through expansion of the dynamic range of the signal processor and capability of electronic frequency agility. Passive interference is rejected through digital adaptive MTI and generation of clutter map. 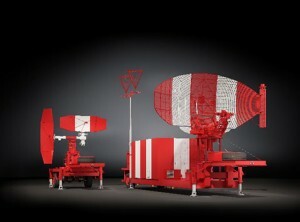 Mobile radar MARS-L is intended for automatic detection of aerial objects (AO) at small, average and big altitudes, determination of target current position, locking of AO movement trajectory and AO automatic tracking. MARS-L includes primary surveillance radar (PSR) channel, which uses approach of active location with passive response, and secondary surveillance radar (SSR) channel, which uses approach of location with active response, that work for one common antenna. In primary surveillance radar (PSR) a complicated sounding signal consisting of smooth signal and phaseshift keyed signals of different range is used. Sequence of high-frequency sound impulses which is formed in digital signal processing block (DSPB) and PSR modulator subblock intensifies in PSR transmitting system and is emitted into the space by common for PSR and SSR mirror antenna. Reflected signals are received by the same antenna, are intensified by the PSR receiving system and proceed to the DSPB, in which they transform from the analogue form into digital. All further processing (suppression of jamming of different type, extraction and detection of signals reflected from aircrafts (AC) and AC coordinate measuring (azimuth and slant range)) is implemented automatically by special algorithms. Work of the secondary surveillance radar (SSR) is based on the principle of directed emission at the request frequency (1030 MHz) of coded sending of electromagnetic energy pulses into the ambient space. The request pulses are received by the AC transponder and decoded. Through the nondirectional antenna the AC transponder emits coded sequence of electromagnetic energy pulses at the frequency of the response (1090 or 740 MHz) bearing data on number or AC altitude. AC reply signals are received by the ASR antenna, intensified in SSR receiving system and proceed to the system of data digital processing in which they transform from the analogue form into digital. Decoding of response signal is done in the DSP block by special algorithms. Decoded information received from AC is identified with the coordinate information of PSR and is displayed on the AWP observation monitor. I/P (Identify Position) signals in 1, 2, 3/A modes. Mobile height-finder PRV-16ML is offered as an upgrade to its prototype, PRV-16. Upgrade is performed by means of replacement of obsolete equipment with electronics based on new hardware components, and aimed to increase performance and technical characteristics, and extend operation life of equipment. PRV-16ML features modern digital technologies of radar signal processing and solid-state components. Installed antenna system is equipped with modern digital motor drive. Orientation of primary surveillance radar antenna and its topographic referencing is performed automatically by means of GPS receiver with two deployed antennas. These engineering solutions have allowed to improve performance characteristics and jamming immunity, electromagnetic compatibility, decrease power consumption of product. PRV-16ML mobile height finder is intended for measurement of aircraft height according to target designation data received from range finder or automated control system. PRV-16ML height finder can operate together with following radars: P-18ML, P-19ML, P-14ML/5N84AML and others. This separation is relative; some separate devices are involved in operation of few systems. Equipment and mechanisms of PRV-16ML height finder are installed on the chassis of the customer’s choice. Note: Non-upgraded PRV-16 height finders consist of cabin with hardware, power supply station, connection cables set (in containers), spare parts tools and accessories (in boxes and containers), which are transported by separate vehicle. Diesel compartment, where two diesel generators and diesel compartment power switchboard is located. Antenna frame with tilting and stowing drive and antenna mirror are mounted on the roof of vehicle body. Air conditioners external blocks and GPS antenna are mounted on the front body wall. Antenna frame stowing bracket (for travel mode) and second GPS antenna are mounted on the rear body wall. Upgraded Ground-Controlled Approach system GCA-22ML is intended to ensure flight safety of aircraft and helicopters within terminal airspace, obtain positional information and guide aircraft to a safe landing in normal and adverse weather conditions. GCA-22ML combines primary and secondary radars, and Precision Approach Radar (PAR). Primary channel of GCA-22ML operates in L-band (ICAO), secondary channel uses standard frequencies for RBS (interrogation – 1030 MHz, response – 1090 MHz) and Eastern UVD (interrogation – 1030 MHz, response – 740 MHz). Primary and secondary channels work on a common antenna. Precision Approach Radar performs vertical and glide path guidance and operates in X-band. GCA-22ML is powered from two independent power supplies: from three-phase industrial mains (380V, 50 Hz) and from diesel power generators. GCA-22ML features efficient protection against pulse interference and active jamming. Level of interference is continuously monitored and graphically represented to the operator. Jamming protection is achieved through expansion of the dynamic range of the signal processor and capability of electronic frequency agility. Passive interference is rejected through digital adaptive MTI and generation of clutter map. A mobile self-propelled surveillance radar AMBER-1800 has dual military/civilian purposes and is designed for air surveillance at long range (up to 360 /500 km). Radar monitors air situation and fulfils the requirements of Military radar intelligence to conduct surveillance over large areas and locations such as military bases, airfields, oil production areas, arms depots, warehouses, industrial facilities, etc. VHF-band transmitter is solid-state and relies on semiconductor devices only. Multi-section telescopic antenna is used on a mast with rapid lift. System is fully mobile and meets tough climatic requirements. System for antenna deployment/stowing down is fully automatic. AMBER-1800 is equipped with two power generators for independent operation and antenna levelling system. Elevation of the antenna phase centre – 6 meters. Side-lobe level – minus 20 dB. AMBER-1800 radar sustains windspeed of 35 m/s and up to 10 mm icing. Time of deployment (stowing down) and levelling of the antenna mast assembly after vehicle positioning on prepared site does not exceed 12 minutes. Radar remote control capability is implemented. Workstation for remote control can be installed in stationary premises.